DiannaSmall on Palpitations? Sleep apnea is a possible cause. Douglas on Palpitations? Sleep apnea is a possible cause. 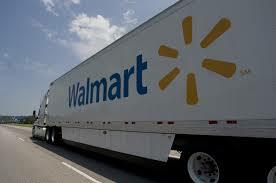 A Wal-Mart stores truck driver is facing criminal charges, with a criminal complaint alleging that the driver suffered from lack of sleep and had not slept in 24 hours. According to several other media outlets, the New Jersey Turnpike crash critically injured actor and comedian Tracy Morgan, and killed another man. WSJ reporter Yoni Bashan writes that Kevin Roeper from Jonesboro, Ga, has been charged with one count of committing vehicular homicide by operating a vehicle recklessly, and one count of recklessly causing serious bodily injury. Trucking industry protocols for employee rest are again being scrutinized with Wal-Mart spokeswoman Brooke Buchanan telling the WSJ: “It is our belief that Mr. Roper was operating within the federal hours of service regulations.” Last July, federal rule changes took effect, mandating that drivers work a maximum weekly average of 70 hours in a period of about two weeks,” writes Bashan.” The previous maximum average was 82 hours over the same period. The National Transportation Safety Board said Monday it was investigating the accident as part of its broader probe into the industry. Keith Holloway, a spokesman for the National Transportation Safety Board, said that Wal-Mart’s company’s driver protocols would be scrutinized. Researchers at the University of California and Michigan State University found that sleep deprivation may actually create false memories. 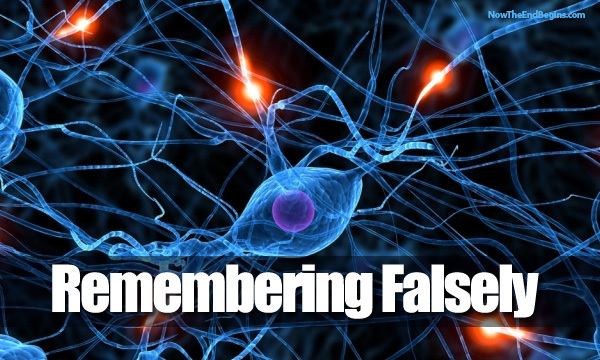 Physical disorders have long been linked to poor sleep, and the study titled “Sleep Deprivation and False Memories” published in Psychological Science builds on previous work that found a poor/false memory connection to sleep. Previous studies on sleep deprivation have shown an association with various types of impaired cognitive functions and memory distortion regarding remembering things like lists of words. This study, however, showed memory distortion regarding real life events that involve people. The experiment set up in the study was to test participants on their ability to recall information from crime photos. First, the subjects read narratives of eyewitness statements that were given in regard to a crime. The eyewitness statements provided different data compared to the information in the crime photos, which were subsequently shown to the participants in the study. For example, a narrative might say that the thief put the stolen wallet in the pocket of his pants, but the photo would show the wallet was actually put in his jacket. The job of the subject was to accurately describe what was in the crime photo. One group of subjects was allowed to sleep during the night and another group of subjects had to stay up all night without sleeping. Also, subjects performed the memory task before sleeping for the night. Previously, the researchers found that sleeping less than five hours at night was associated with false memory formation. The recently reported study was an extension of this previous study. In the recent study, the subjects that stayed up all night were significantly more likely to indicate that the details in the narratives were the same as in the crime photos, which was incorrect, rather than correctly indicating that the narrative contained information that was different from that in the photos. Sleep specialists and sleep lab directors can now say, “I told you so,” thanks to an April 2014 Time Magazine feature that boldly declares sleep as nothing less than the “New Health Frontier.” The 1,300-plus word article in the venerable news magazine quotes prominent sleep physicians who readily declare sleep as one of the three pillars of good health, right next to diet and exercise. 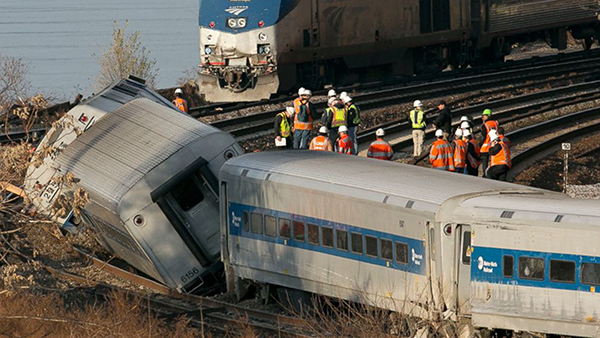 The driver of a train that derailed late last year in New York City, killing four passengers, reportedly suffered from “severe sleep apnea.” William Rockefeller, the engineer at the controls of the Metro-North commuter train that derailed in the Bronx, had the sleep disorder at the time of the accident, and it had not previously been diagnosed. Rockefeller’s last routine physical examination for Metro-North was in May 2011, and his last visit to his own doctor was in May 2013, the report said. “Before the accident, doctors had diagnosed Rockefeller as obese and having hypothyroidism, high cholesterol, low testosterone, vitamin D and B12 deficiencies, and mild high-frequency hearing loss,” wrote Allen. As reported by BBC News, a company called Withings is set to roll out the Aura “Smart Sleep” system. One part of the device slides under the mattress to study the dozing owners while another screens their bedroom environment. 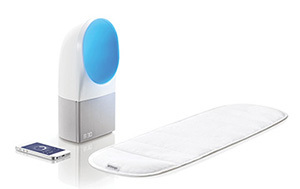 It is the first of more than a dozen sleep-related gadgets set to be launched. 3) A smartphone app that controls the system and provides feedback about the sleepers’ night. The light changes color from blue to yellow and red during the course of the night on the basis of research that different light wavelengths can affect the secretion of hormones. The rival Philips’ Wake-up Light lacks the mattress sensor but can charge a smartphone. Researchers found that women whose sleep routines are more consistent have the least amount of body fat. A new study published online recently in the American Journal of Health Promotion suggests that keeping to a consistent sleep routine may help people maintain a healthier weight. Bruce Bailey, a professor in exercise science at Brigham Young University in Provo, UT, and colleagues found that women who woke at the same time and went to sleep at the same every day had lower body fat. While previous studies have looked at sleep patterns and weight, this is the first study to look at the link between consistency of bed and wake time and body fat. For their study, the researchers examined data on more than 300 young women aged between 17 and 26 attending two major Western US universities. At the start of the study period, the women were assessed for body composition and were then given activity trackers to record their movements during the day and their sleep patterns at night for 7 consecutive days and nights. A consistent bed time, but particularly a consistent wake time, were linked to lower body fat. Sleeping less than 6.5 or more than 8.5 hours a night was tied to higher body fat. Sleeping between 8 and 8.5 hours a night was tied to the lowest levels of body fat. Quality of sleep also appears to make a difference to body composition. Participants whose wake and sleep time varied by more than 90 minutes had more body fat than those whose variations were limited to 60 minutes. The researchers said they found wake time was particularly tied to body fat. The participants who consistently woke at the same time every day had the least body fat. Prof. Bailey suggests consistent sleep patterns are probably closely tied to good sleep hygiene. 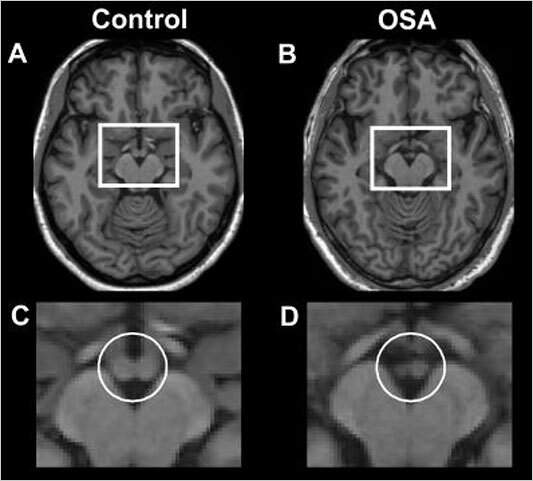 Altering sleep hygiene likely changes patterns of physical activity, which in turn alters hormones involved with digestion, with a knock-on effect on body fat. They found participants on a low-calorie diet lost the same amount of weight whether they slept an average of 8.5 hours or 5.5 hours each night. However, while they lost the same amount of weight, the composition was different. Most people have heard the sage advice to keep TVs out of the bedroom. Instead, the bedroom should be for sleeping and not watching television. What about keeping the smart phone, tablet, or laptop away from the mattress? As it turns out, scientists at no less than Harvard Medical School have found that specific wavelengths of of light can suppress the slumber-inducing hormone melatonin in the brain. According to the Post, the result is less sleep, and less time for the body to recover. In the U.S. alone, revenue from clinics treating sleep disorders expanded 12 percent annually from 2008 to 2011, reaching $6 billion, according to IBISWorld. Drowsy drivers cause 1,550 fatalities annually, the National Department of Transportation estimates, and insomnia-related accidents in the workplace cost $31.1 billion annually, a study last year found. While the noisy ping of a nocturnal e-mail or text message can interrupt sleep, staring at the gadgets’ screen late at night may be more detrimental, according to researcher Czeisler, who is also head of sleep medicine at Boston’s Brigham and Women’s Hospital. It comes down to the body’s circadian rhythm, which has been affected ever since the invention of the electric light. Posted on November 18, 2014 June 15, 2015 Categories Sleep HygieneTags sleep hygieneLeave a comment on Modern Gizmos Infringing on Good Sleep? 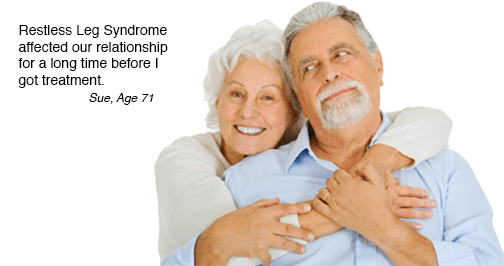 Do people snicker when you tell them you have Restless Leg Syndrome (RLS)? They wouldn’t if they knew the amount of sleep deprivation RLS can cause. The name Rest­less Leg Syndrome– may be part of why people don’t take this condi­tion as seriously. Restless Leg Syndrome causes an urge to move the legs and sometimes arms and it is accompanied by unpleasant sensations in the legs. It generally is worse at nighttime and is relieved by movement. In a large number of cases it can be accompanied by sleep deprivation or sleep apnea and then it is also called periodic limb movement disorder. The cause is known on­ly in a minority of cases. 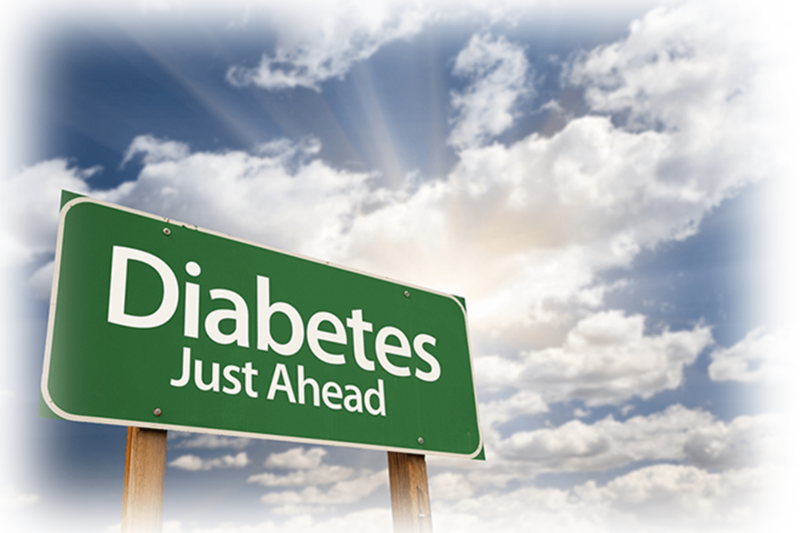 About 40 percent seem to run in fami­lies and several genet­ic factors have been iden­tified. Iron deficiency sometimes is associat­ed with RLS and replacement of the iron can im­prove symptoms. Mod­erate exercise, leg mas­sage and heat (say, a warm bath before bed) are some non-drug ways of improving symptoms. Levodopa/carbidopa, a Parkinson’s drug, is an effective treatment; pramipexole (Mirapex) and ropinirole (Requip) also are effective for ma­ny people. Some people with restless legs syndrome never seek medical attention because they worry that their symptoms are too difficult to describe or won’t be taken seriously. Some doctors wrongly attribute symptoms to nervousness, stress, insomnia or muscle cramps. But RLS has received more media attention and focus from the medical community in recent years, making more people aware of the condition. An expert in the condition, usually a neurologist, is essential for severe cases. A specialist in diagnosing sleep apnea will be able to evaluate if the condition is causing sleep apnea and it may be necessary for the physicians to coordinate treatment.